…especially one that can play the piano and plié. And Liz Vacco, the creator of the Petite Feet DVD, is pretty accomplished herself. She is a Yale Theatre Studies graduate. A “dancer that acts, and an actor that dances” who, for nine years, has been a ballet and early childhood educator, teaching through New York City Ballet’s Education Program and at various dance studios and public schools throughout the city. It was through Maria’s Movers that I first heard of Petite Feet, Liz’s 26-minute ballet video for children. So I contacted Liz on Twitter @PetiteFeetVideo so that I could review and share the video with you. Liz deploys her theatrical background to present stories, enact original songs, and engage little imaginations. 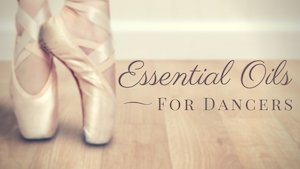 In a class structure that is familiar to most dance teachers (and that may be similar to your little one’s weekly lesson), she leads three sweet and engaged little helpers through circle warm-ups, age-appropriate ballet steps, and improvisational or scenario-driven exercises. All are developmentally appropriate for preschool children ages 2-5 and introduce fundamental ballet, general dance, and musical concepts and vocabulary with clarity and charm. 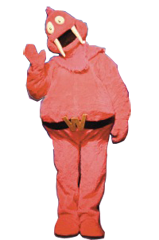 The colorful, cutout scenery, along with Waldo the Walrus, bring to mind the deliciously bizarre children’s television series, Yo Gabba Gabba. However, with her pixie-like demeanor and precise delivery, Liz is definitely more Tinkerbell than DJ Lance Rock. Parents, as with any dance video, this is by no means a replacement for regular dance lessons. Rather the video should be reserved for days too hot, cold, or rainy for outside play, or those under-the-weather days when your child is stuck at home during dance class or school, or simply for whenever they ask for it by name (which in this case, might be often). Teachers, you may find some new imagery to present to your preschool-aged dancers and Liz will inspire you in the creation of your own songs and stories. Order online at PetiteFeetDance.com or via Amazon.com .